Explore the Multnomah Falls, Columbia Gorge, Visit Hood River and see Mt Hood and Timberline lodge where the Shinning was filmed. On the second day embark on a wine tour in the Willamette Valley where you can taste the best Pinot Noir, Pinot Gris and other favorite varietals like our local rose and chardonnays. Third day, visit the Oregon Coast and explore Rockaway Beach or the city of Astoria. Visit he most popular tours in Oregon, why settle on one attraction, have the whole 3 days to be wowed by immersing yourself in Oregon and everything it has to offer conveniently in one package. View the activity details for full tour breakdown. Booking requires only one person and up to 4 people can go. 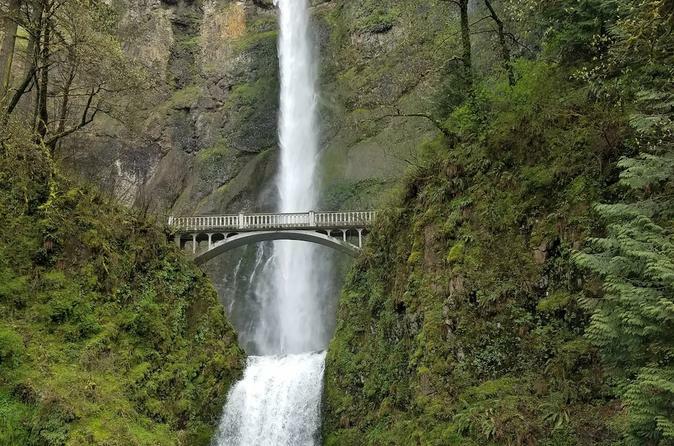 Explore the breathtaking Multnomah Falls, Hood River, Mt Hood and experience the Columbia Gorge. This can be either a wine tour, nature tour or both.